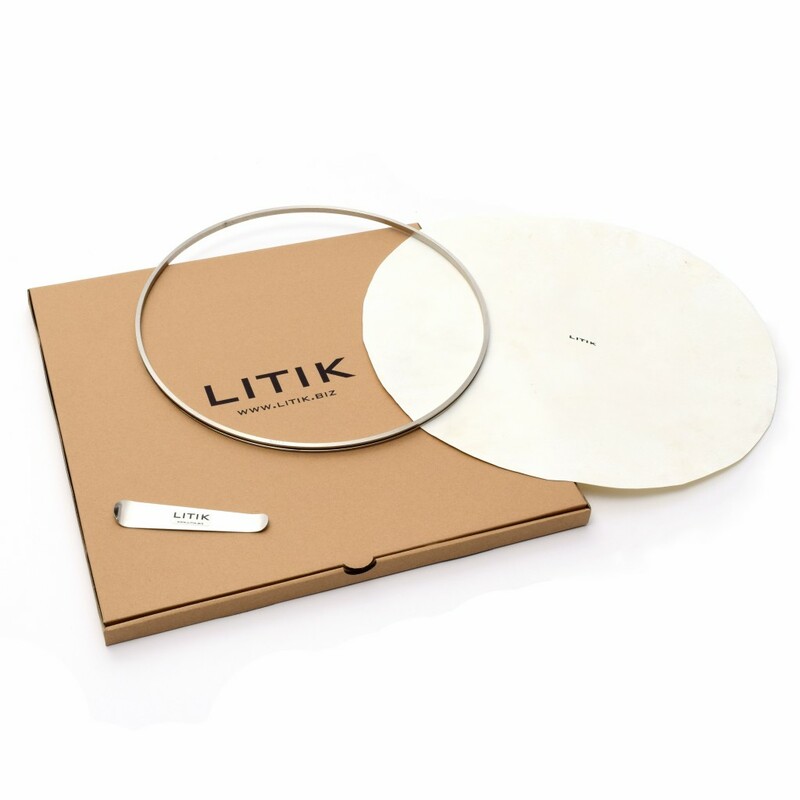 Litik Packs offer you the chance to combine 1 or more related Litik products and get a great deal in the process. The best way to start tucking your own natural skins for drums. The best thing about the “Tuck Yourself” Pack is that hoops and tucker are reusable once it’s time to change your skin. A replacement skin is comparable in cost to a new synthetic drum skin. 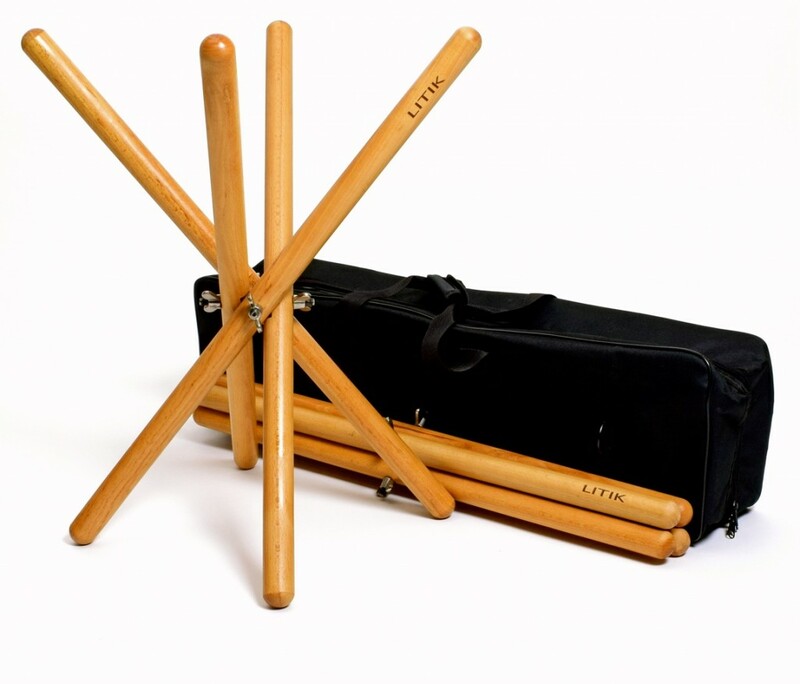 This pack consists of two Litik timpani stands and a sturdy carrying bag to keep your stands protected during loading and transport. The cost of the pack is the same as two individual stands. In other words: buy two Litik timpani stands and you get a free carrying bag. Available in Standard or Deluxe models. If you are interested in giving natural skins a try but do not have any experience tucking skins, then this is a good way to start. This pack consists of a Litik natural skin (calf or goat, your choice) and comes already tucked on Litik metal hoop. 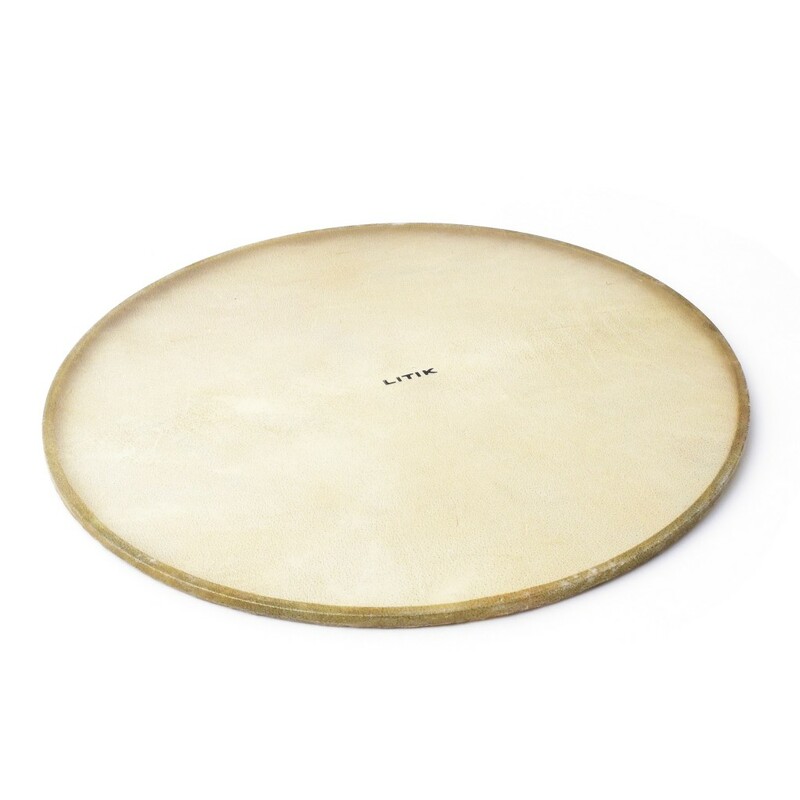 All you have to do is put it on your drum and explore what natural skins can do for your sound.